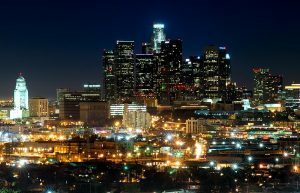 If you’re vacationing to Los Angeles, you’ll notice that the city is quite expensive depending on what you want to do. Overall, Los Angeles offers access to so much more International cuisine and culture than anywhere else in the US. On the other, accessing these small hubs can prove an expensive endeavor. Using a shuttle bus, taxis and other forms of transit, we’ll show you how to save money on your trip to Los Angeles. Beginning with the airport shuttle from LAX to your hotel, you’ll notice that Los Angeles is a congested network of highways. Whether you’re travelling with a group, or on your own, it would benefit you to review LA’s bus systems. Between trains, which we’ll cover in a moment, and buses, you can cover quite a bit of ground. However, you’ll also find a charter bus to be one of the only options you have for certain activities. For example, groups typically rent these for tours or special gatherings (like a family reunion). Both taxis and Uber offer excellent accessibility to the most interesting parts of the city. The problem is cost. Both are subject to sudden increases of pricing, so you should try and use them sparingly. If possible, organize your trips to be in one area of the city or another for all or most of the day. This way, you maximize each stop and spend less trying to cart yourself around the city. Of course, you’ll need to be prepared to walk. Trains are some of the most under-utilized methods to get around. LA recently added some new lines that will take you to places like Santa Monica, so take advantage and go see a beautiful part of the city. Book a charter bus for your group trip to Los Angeles with Pacific Coachways, one of LA’s most well-known bus services for business and group charters.